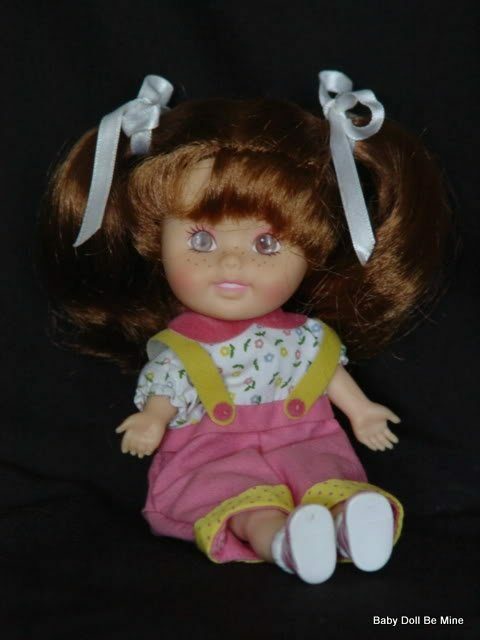 Sweetie Pops was made by Playskool in 1986. 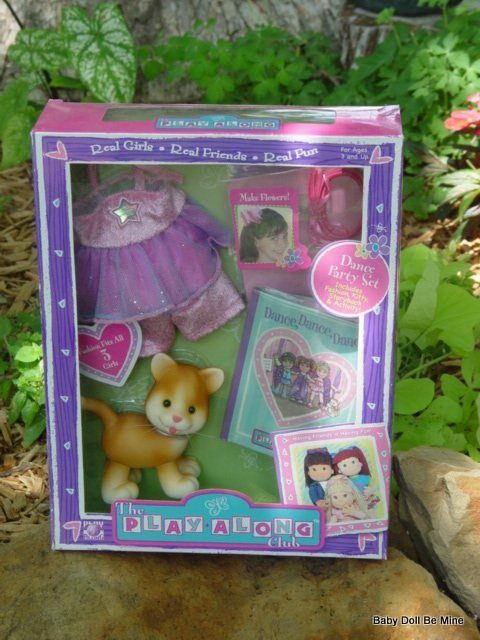 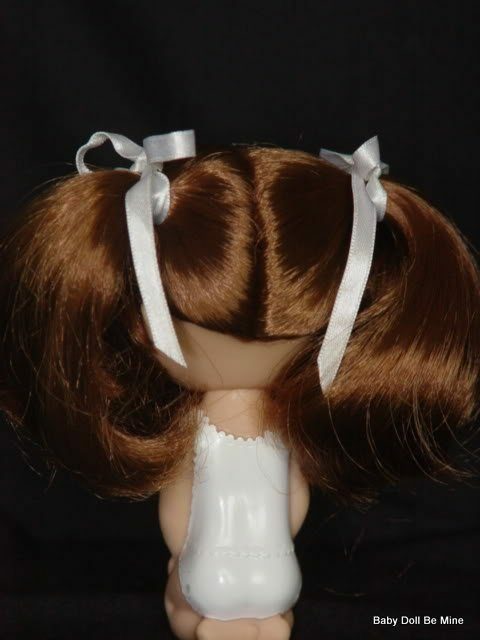 They are lovable dolls with easy to dress outfits and long flowing hair that’s fun to comb and style. 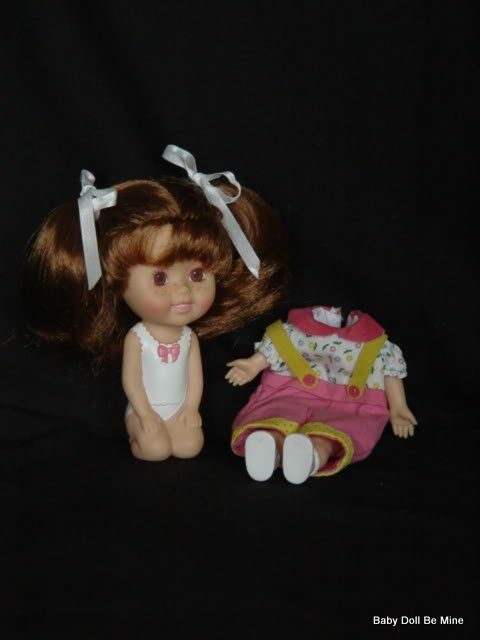 The dolls were made for ages 2-5 because of the ease of dressing the dolls. 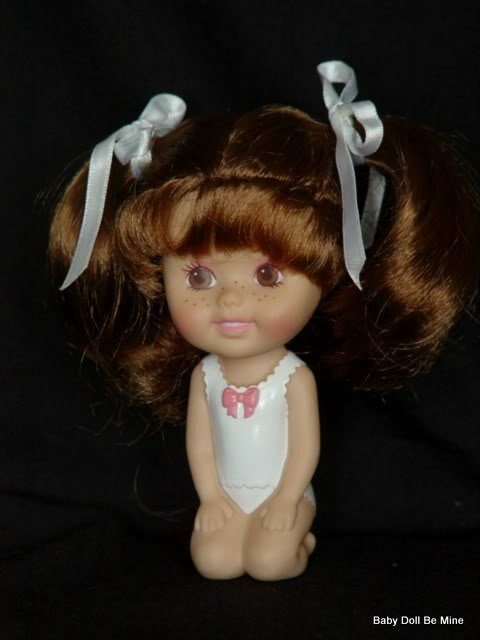 They made the dolls in a kneeling position with their arms at their sides so that they are still cute without their clothes, but then they made the clothes with the vinyl legs and arms already attached to the clothes so that little fingers don’t have to try to get arms and legs in such tiny openings. 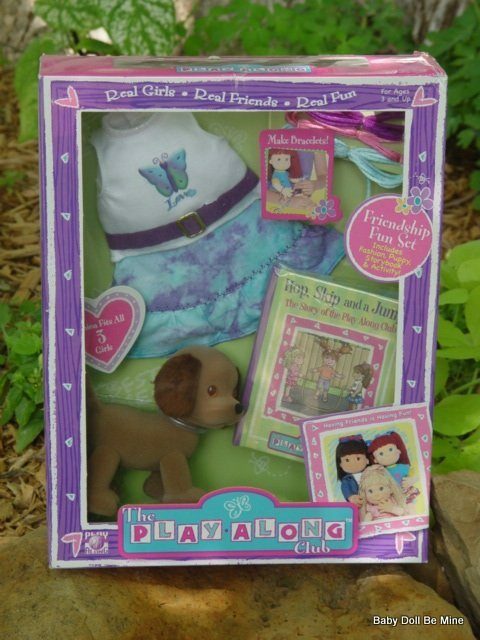 This set is for the brunette doll with the hot pink playset.